Home Course features Norman’s Designed 100+ Courses In 34 Countries But Singles Out Cathedral Lodge As Recent Best. 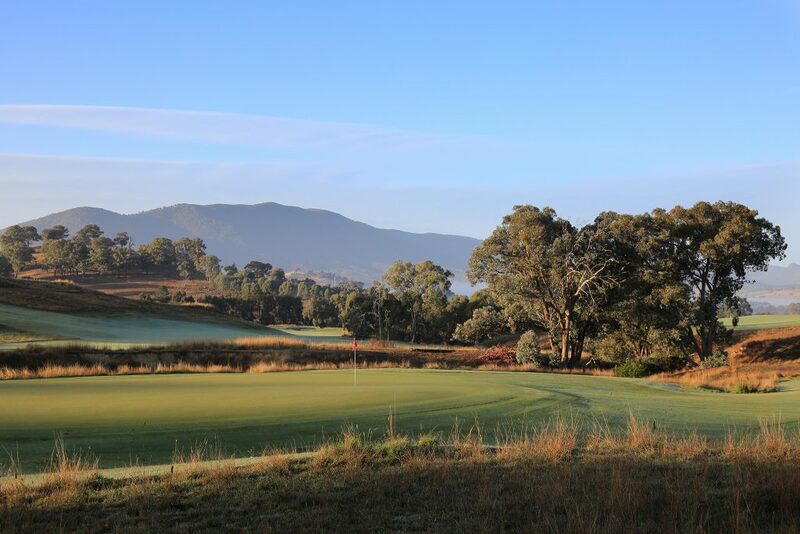 Norman’s Designed 100+ Courses In 34 Countries But Singles Out Cathedral Lodge As Recent Best. 1 year ago by Bernie McGuire Comments Off on Norman’s Designed 100+ Courses In 34 Countries But Singles Out Cathedral Lodge As Recent Best. 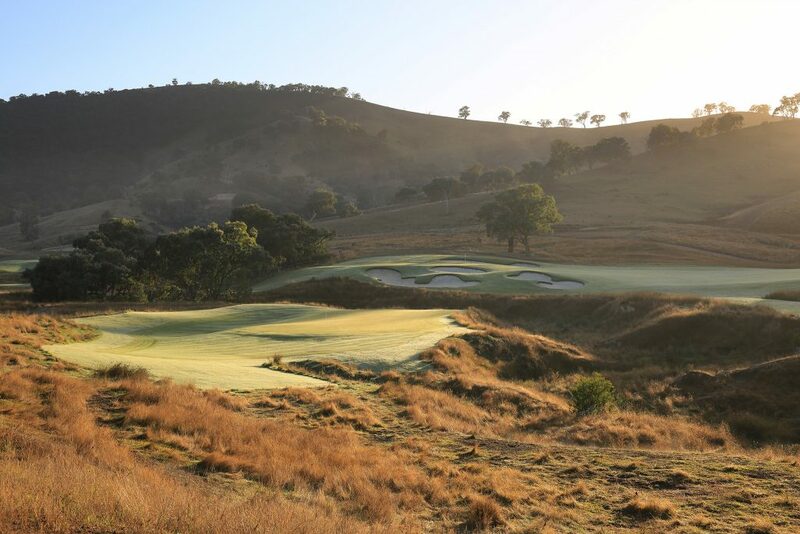 Greg Norman has designed over 100 golfer courses in 34 countries and six continents but has singled out his newest design – Cathedral Lodge – as his latest best. Cathedral Lodge is located to the north-east of Melbourne and the capital of the Australian State of Victoria. 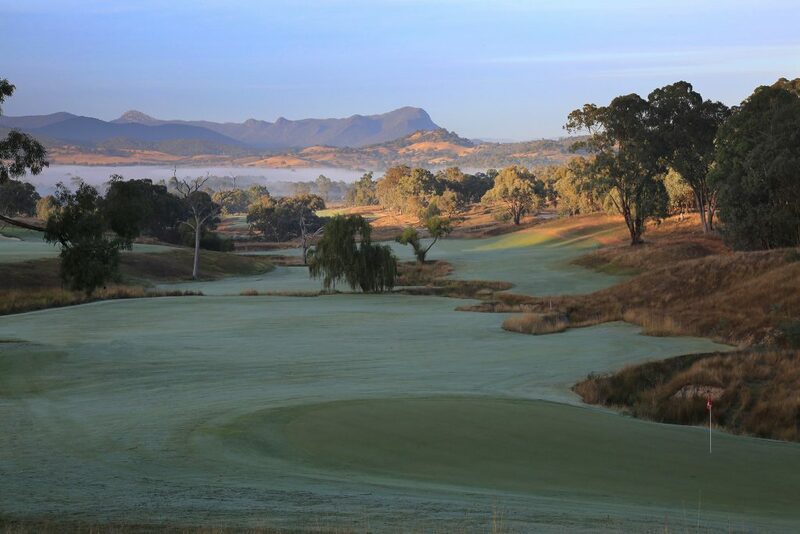 The course features creeks and and gorges, and is laid out in a natural amphitheatre with a view directly to a high razorback ridge known as the Cathedral Range which forms part of the Great Dividing Range that runs like a spine down the Australian eastern seaboard. Cathedral Lodge is much akin to another Norman design – Ellertson – an extremely private course locked away in the secluded high country some 90-minutes drive from Sydney in the upper Hunter Valley region, and on the estate of the late Kerry Packer who was instrumental in offering Norman the basic business advice that now sees the Great White Shark as one of the richest businessman among the world’s top golfers. “We have created something extremely specail at Cathedral Lodge that is topigraphically perfect for golf,” said Norman. “And of the golf courses I have designed of late, this golf course is up there on top of my list. Many of the courses Norman has designed now host some of the leading events in professional golf including the Tiburon course in Naples, Florida and host to the recent Norman-hosted QBE Shootout and that was opened in 1998. 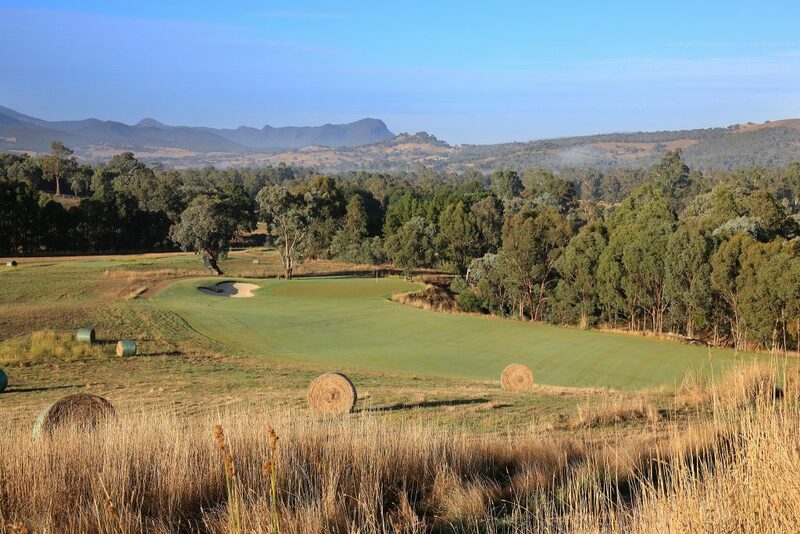 Other ‘tournament venues’ include the TPC San Antonio course that plays host to the Valero Texas Open and Stonecutter’s Ridge just to the west of Sydney that recently hosted the New South Wales Open. However, Cathedral Lodge is an exclusively private club and very likely, due to it’s distance from Melbourne, ever to see the public venturing through the gates to watch a major tournament. The course was offically opened in October this year by the Premier of Victoria, Daniel Andrews with course owner, David Evans and Norman present. Evans dream for his own golf course materialised in a decade ago when he and his father, the late Ron Evans, long-time Chairman of the Australian Football League and president of the Essendon Football Club, and a position his son and also named Ron would occupy, obtain guest tickets to attend the Masters. “I just fell in love with what Augusta is, what it stands for,” says Evans jnr in an article appearing in the Melbourne Age newspaper. “That trip triggered the idea of planning for what has become Cathedral Lodge. I asked myself whether it could be done in a way that created a unique recreational place for Australian families with golf at its core. Evans and his wife Sonya bought a large tract of undulating land near Alexandra, on the Goulburn River, in 2003. Sonya’s own family had farmed the Alexandra area for generations, but Evans initially kept to himself the idea of turning their land into a world-class golf course. In 2012, he hosted Greg Norman as a guest at the chairman’s lunch at the MCG for the Essendon-Collingwood Anzac Day match. Evans and Norman hit it off straight away, and when Evans mentioned his idea of a golf course on his country property, the Great White Shark offered to take a look. “He fell in love with the property straight away,” Evans said. After two more years of planning, getting local government approvals and arranging finance – Evans declines to say how much the project has cost – the first sod was turned on March 1, 2015. According the newspaper articles some 70 families (as at October) have signed up, each paying $AUD 50,000 for the privilege, plus $AUD 12,000 a year. This is the base tier, with future memberships costing more. Evans won’t say how much more, saying only that he wants the place to be a family-based club, where golf is the core pursuit, but where fly-fishing, trekking and horseback riding is also on offer. No sooner had Cathedral Lodge opened its doors and Golf Magazine presented the course with their ‘Best New International Course’ award. , with many having won prestigious design awards.